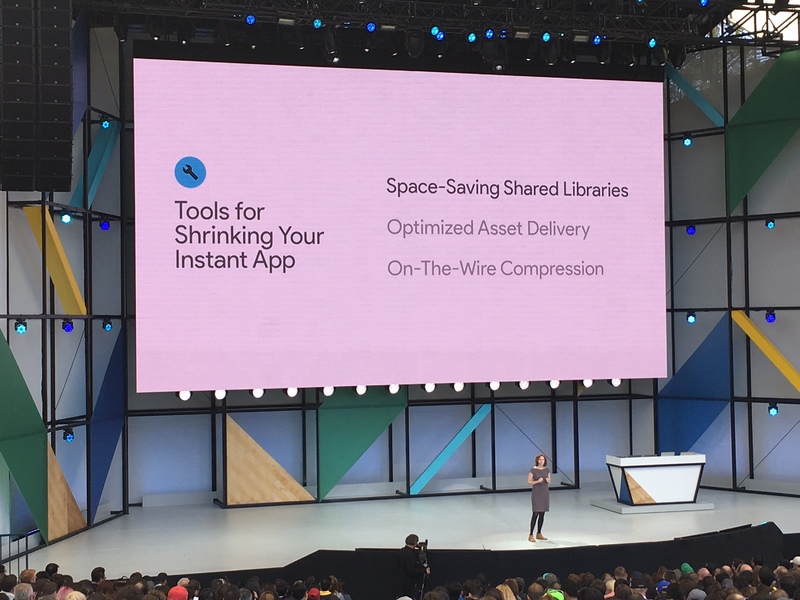 With Instant Apps, Google is trying to bridge the worlds of web and native apps by making native apps — even those you haven’t installed on your phone — load as fast as a web page. The company first announced this project at its Google I/O developer conference last year and at this year’s event — but only made it available to a select number of developers until now. Today, the company announced Instant Apps are now in general availability and that all developers can develop them — and users will then be able to access them right from the Google Search results page. This means that all developers can now build Instant Apps. With the launch of Android Studio 3.0, the company now also has all of the tooling in place to help developers modularize their applications. According to Google, it typically takes developers about four to five weeks to adapt their existing apps to support this feature.